It’s time to show how much you love Underground Sounds and CKUT by donating to our annual funding drive. Help keep community radio alive and kicking! For the special occasion we’ll be talking with previous show-hosts Agata de Santis and Natalia Yanchak (The Dears) about the importance of Underground Sounds and campus-community radio. Listen for interviews with Murray A Lightburn about his project MASS:LIGHT and catch a chat with Fragile Feet about their upcoming show. Last but not least, in-studio musical guest SwampWolf will be serenading us all night long. There are tonnes of prizes for donators like sweet t-shirts, free beer for a year (!!!) 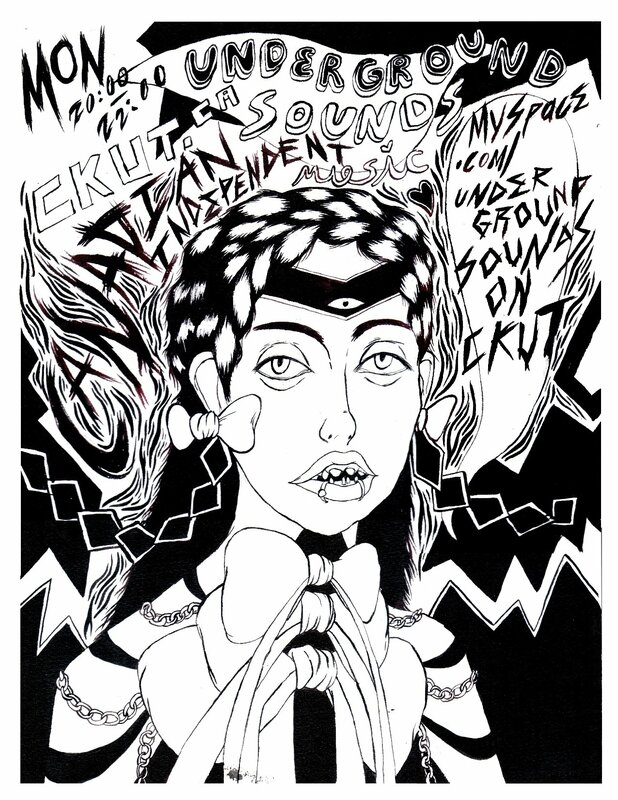 and a really special Underground Sounds poster designed and hand-numbered by GRIMES. Help us raise $60,000 to keep Montreal’s people-powered-radio alive, call 514-907-9424 or online at CKUT.ca now. This entry was posted in CKUT programming and tagged CKUT Funding Drive, Underground Sounds on October 28, 2013 by Nick Schofield.